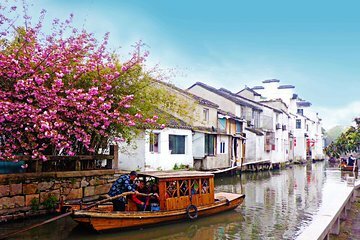 Explore the historic water town of Suzhou on this guided excursion. After a convenient hotel pickup, head to Suzhou and stroll around the houses, ponds, and pathways of the UNESCO-designated Humble Administrator’s Garden. Enjoy a boat trip on the old Grand Canal, marvel at the history of Panmen Gate, and hop in a private rickshaw for a ride along picturesque Pingjiang Road.